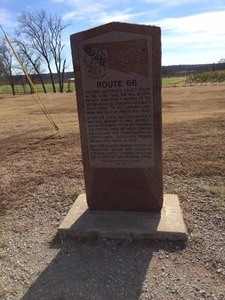 Plaque about Route 66 created by the Oklahoma Historical Society. 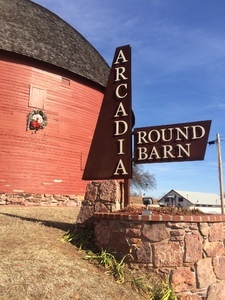 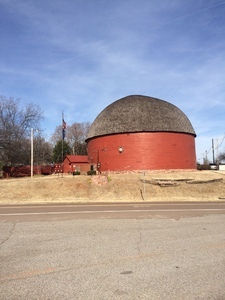 The historic Round Barn located in Arcadia that has lasted more than 100 years. 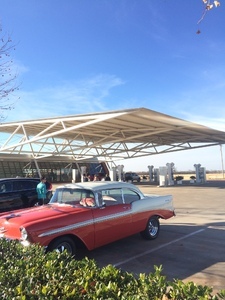 Pop's is a convenient store in Arcadia situated along Route 66. 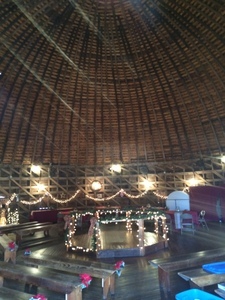 This is the inside where of course you can see where Pop's gets its name. 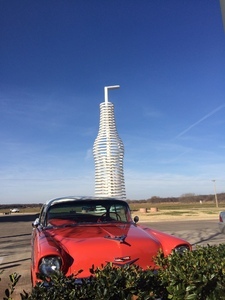 Pop's is a convenient store in Arcadia situated along Route 66. 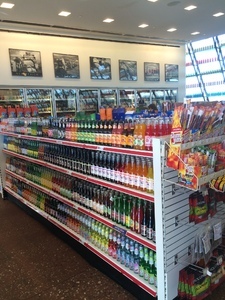 Pops is a convenient store in Arcadia situated along Route 66. 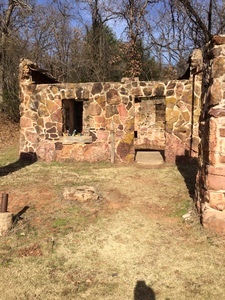 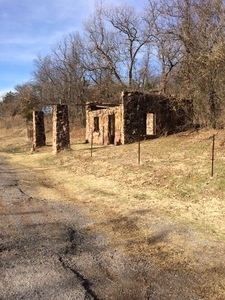 Old ruins of a 1920's filling station in Arcadia located on Route 66.